One of Caravaggio’s most famous paintings that is included in “Bodies and Shadows: Caravaggio and His Legacy” at LACMA. He is now re-examining the portrait donated to the museum by the Putnam sisters to see if the face of the portrait was, indeed, an early painting by Caravaggio. 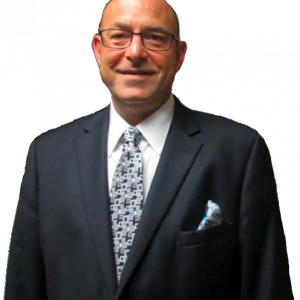 The article “Might San Diego have a Caravaggio after all?” recently written by Tyler Green in the online journal “Art Info” explains Mr. Marciari’s scholarly quest regarding the possibility of re-attributing the portrait back to Caravaggio. There are sixty-four authenticated Caravaggio paintings in the world today—hopefully, there will be sixty-five. If you are not aware, there is a grand temporary exhibition Bodies and Shadows: Caravaggio and His Legacy currently at the Los Angeles County Museum of Art (LACMA). Unfortunately, the exhibition closes this coming Sunday, February 10th. If you want to see it, go now! Except on Wednesday when LACMA is closed find an excuse to see it: “call in sick with the ‘flu,’” or “get a flat tire.” Do whatever it takes to get there! Eight paintings by Michelangelo Merisi da Caravaggio are on display in the LACMA exhibition—that’s an eighth of his known artworks. His “Saint John the Baptist in the Wilderness” (c. 1604-05) is on view, which is one of his most spectacular paintings displaying Caravaggio’s famous style called tenebrism. Tenebrism features dramatic dark backgrounds with very harsh theatrical lighting. His influence was widespread and a huge “who’s who” of art history was influenced by his dramatic style. Another Caravaggio painting in the LACMA exhibition. 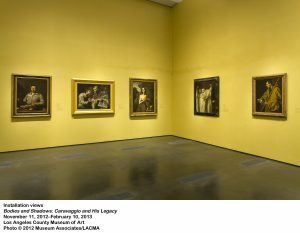 His many followers, known as Caravaggisti, include some of the most renowned artist’s in history including Georges de La Tour, Diego Velàzquez, Francisco de Zurbarán, and Jusepe de Ribera, whose paintings are also included in this LACMA exhibit. Famous paintings also featured in the exhibition are Zurbarán’s “Saint Serapion” (c. 1628) and Georges de La Tour’s “The Magdalen with the Smoking Flame” (c. 1638-1640). Among other Caravaggisti, included in the exhibit are Roman School painter Orazio Gentileschi (Artemisia’s father) and infamous author Giovanni Baglione—Caravaggio’s arch nemesis—who wrote scathing accounts of Caravaggio after the influential artist’s early demise. Baglione had sued Caravaggio for libel over a series of rude limericks penned by Caravaggio mocking Baglione’s woefully inferior paintings. The Baglione painting in this exhibit clearly justifies Caravaggio’s poetic ridicule. Other artists featured in the LACMA show are Caravaggisti who were influential for the spread of tenebrism into the Flemish region (Belgium, the Netherlands, and northern France) such as Gerrit van Honhorst, who may have inspired Georges de La Tour’s use of the style. Even Rembrandt van Rijn was influenced by Caravaggio’s work. A magical corner of the LACMA exhibition. From left to right: paintings by Ribera, Zurbarán, and Velàzquez. 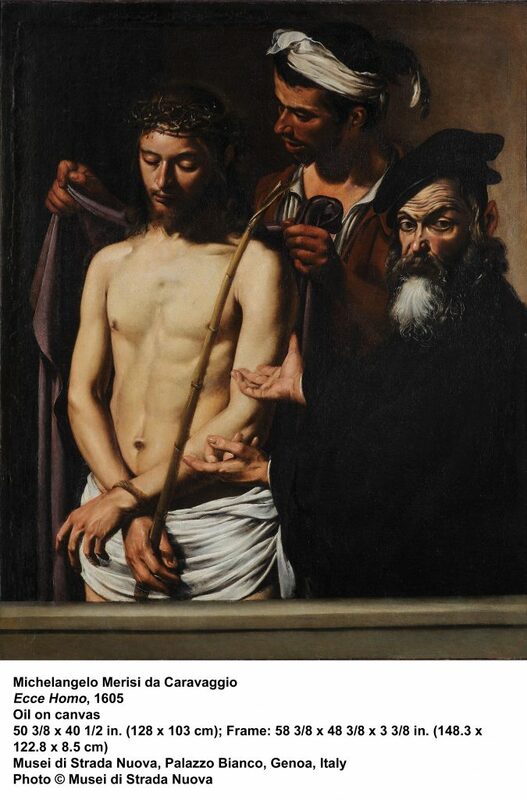 It is worth the effort to go visit LACMA and see Bodies and Shadows: Caravaggio and His Legacy. The tickets to the LACMA exhibit should also be reserved before you go because they are issued for specific entry times (remember the LACMA exhibition closes this Sunday, February 10th). If you go, study especially the eyelids of the faces in Caravaggio’s paintings and the brushwork on the skin of his figures. Then later go to SDMA and scrutinize for yourself the “Portrait of a Woman” at SDMA, which is located in the upstairs gallery #17, to try and discern whether you think it may have been painted by either Caravaggio or Mr. Unknown.